On Thursday, I’m off to Walt Disney World in Orlando, Florida for a weekend of Star Wars fun. The event is called, appropriately enough, “Star Wars Weekends,” and it features Star Wars activities, shows, events, and celebrities spread out around Disney’s Hollywood Studios. While I can’t wait to ride the new version of the Star Tours simulator adventure, Star Tours – The Adventures Continue, I’m equally excited to see some of my good friends for the first time in months. This will be my second vacation to Disney World, and to celebrate my return, I thought I’d share a funny story from the last time I was there. 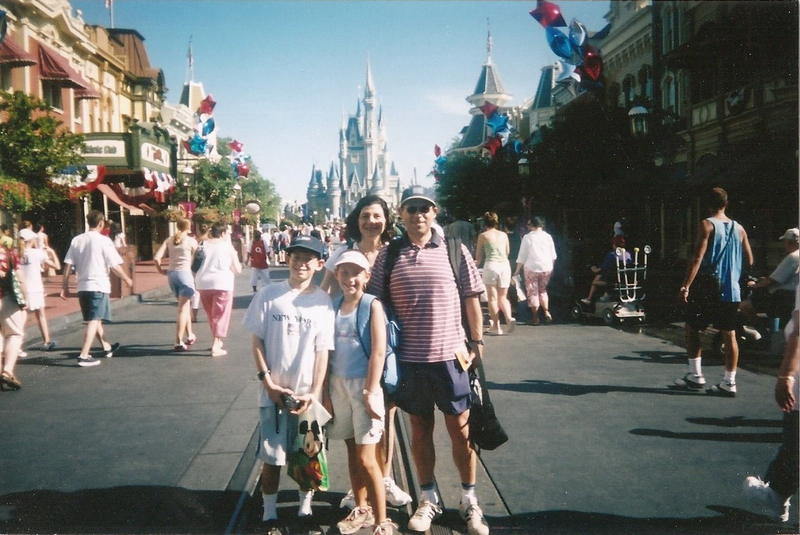 I don’t remember much about my first trip to Disney World, which happened in August 2004. Due to a freak accident with my camera’s SD card, I lost all my pictures from that trip before I could back them up. Thus, the only images that survive, such as the one above, are from my parents’ camera. I do know that I rode the original Star Tours simulator, mostly because I still have a souvenir passport from the ride. I also know that I went on a number of other rides and posed for pictures with Goofy, Donald, and other cartoon characters.But one of my favorite memories from my first trip to Disney World is when my sister and I got lost in the park for several hours. The security officer brought us to his office and called my parents. 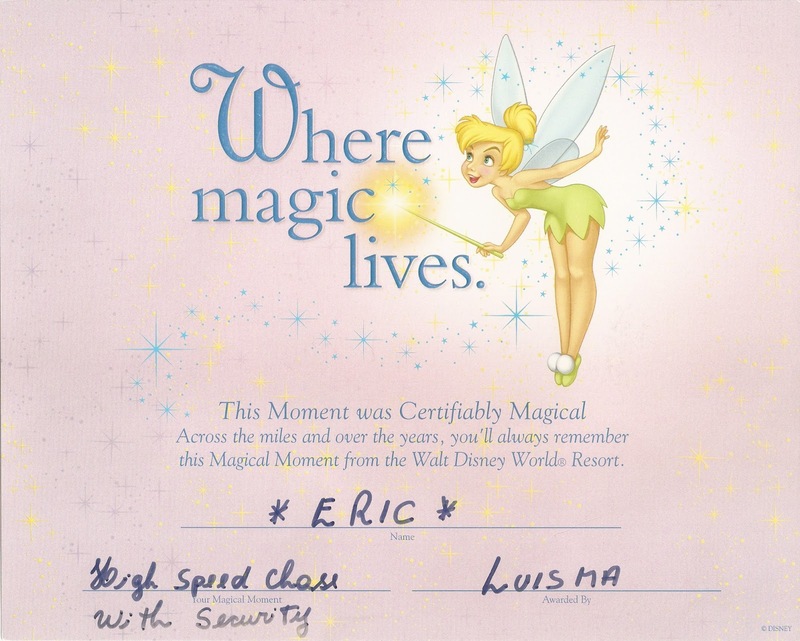 As they headed over to pick us up, the security officer, perhaps hoping to reassure my worried sister, gave us each a “Magical Moment” certificate to commemorate the event. Truly, Disney World is where the magic lives, and I can’t wait to experience more of that magic starting on Thursday.